The popular watering hole at Regent Singapore retains its top spot on the Asia’s 50 Best Bars ranking for the second year in a row. 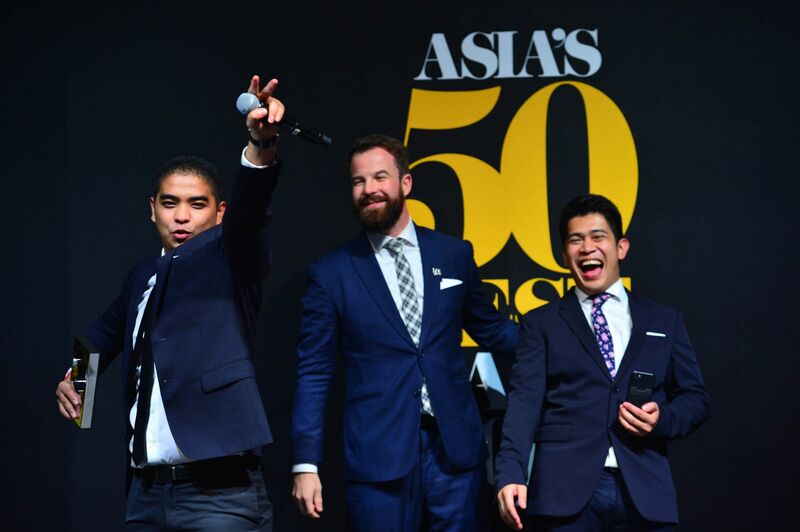 Amid expectedly high expectations, Manhattan at Regent Singapore kept its number one spot on the Asia’s 50 Best Bars ranking. The 2018 list was revealed at a well-attended awards ceremony held at The Capitol Theatre last night. This is the second consecutive year it has found itself placed ahead of an increasingly toast-worthy line up of drink destinations. “We have an amazing team, and I’m very happy and proud to be part of this journey,” says bar manager Philip Bischoff, adding that they certainly don’t take the honour for granted and that they’re all about giving customers the best experience “whether it’s their first or 100th time” at the bar. Landing in second place is Indulge Experimental Bistro in Taipei, followed closely in third by speakeasy Speak Low in Shanghai. Another Singapore hotspot, Atlas, climbed eight places to number four, while the Highest New Entry and fifth on the list was The Old Man in Hong Kong. Vijay Mudaliar won big, too, as Native soared to number eight; he went home with the Altos Bartenders’ Bartender award. After Singapore and China, Japan came close with eight entries, followed by Thailand (six) and South Korea (four).